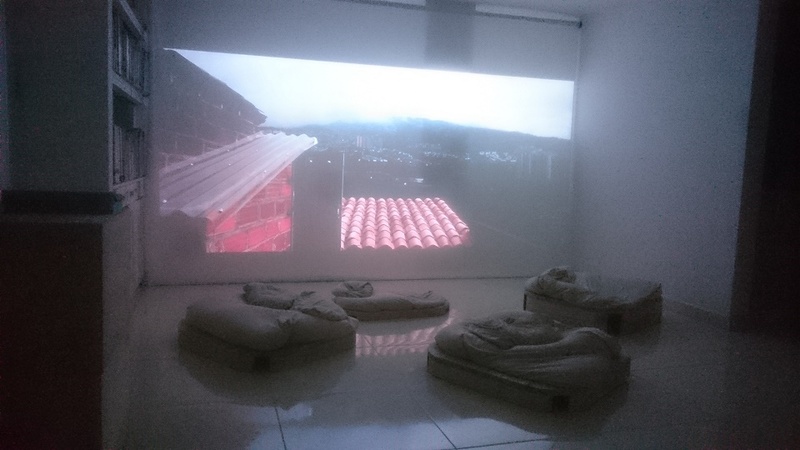 This is part of a series that we, at the Piso Alto Curatorial Club, call ‘intimate exhibitions’ made for private spaces, and sometimes they work as a sketch for a bigger public exhibition. You are probably wondering why there are so many languages in the title. The ones used correspond to the origin of the artists or their chosen subject. LIBERTAD, of course is Spanish – six of the artists have Spanish as their mother tongue. One of the artists has a video about a native Colombian Embera woman, that’s where EWARADÉ comes from. FREEDOM, because Michael Sheridan is from the United States (remember him? ), I am presenting his project, Community Supported Film, with video works made by Haitians and Afghans, so Haitian Creole LIBÈTE and Pashto حرية are included. स्वतन्त्रता for our dear friend Surendra, who you know is from Nepal. I wish you could be here for this exhibition, free of work and responsibilities, to continue enjoying life and seeing the world that way I admire so much.